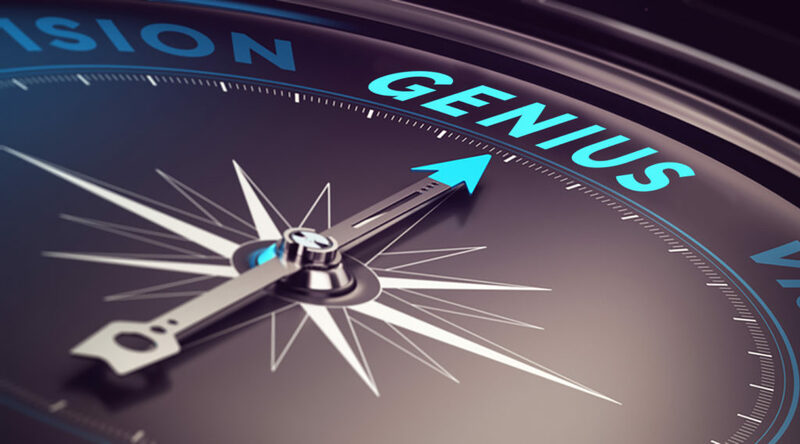 How can I help you rediscover, develop and utilize your genius in your life and work? Here are some options, and I’d be delighted to create a special option that’s perfect for you. Direct your life by your genius. Consults, workshops and materials to help you rediscover, cultivate and use your genius. Every week, you bring to class new material that’s always honest and heartfelt. Your openness to possibilities is exciting and contagious. The quality of the research and discovery you have done on genius is awesome. Your exercises and questions make it easier for me to absorb new information and work well with it. 2019 will see the launch of new classes, talks and a book on your genius. Write contact@everydaygenius.info to be informed of dates and details. Creative, practical ways to turn stress, burnout, or exhaustion into energy, vitality and insight. Pat truly is a visionary. She helps people see their own visions clearly, make specific plans to manifest those visions in their lives and work, and bring their own sense of spirit into tangible reality. People come away feeling more innovative and resourceful themselves, because of how Pat serves them. Carol Costello, Sales Coach and Consultant, author of The Soul of Selling. Pat Sullivan has a gift for helping people to clarify their visions and find their deepest sense of purpose. Through discussion, diagramming, visualization, and other exercises, she creates a sense of safety and exploration that is both playful and deep. I highly recommend her. Judi Neal, author, speaker, coach and consultant who helps leaders, teams and organizations to be on the leading edge, founder of Edgewalkers. Pat offers fast, focused expert help to communicate what matters most to you. In the past five years, she has edited about 20 books, two of which are selling well and gaining high praise from readers. Another book which she helped structure is nearing publication. In addition to her book, Work with Meaning, Work with Joy: Bringing Your Spirit To any Job, Pat is the author of 26 “Vision and Values” columns published in the San Francisco Chronicle; an article for Workforce Management on how to talk about meaningful matters at work; an article in the best-selling Lawyers as Peacemakers by J. Kim Wright for the American Bar Association, and chapters in two reference books for managers from Praeger publishers on dealing with spirituality and work issues. Bravo! 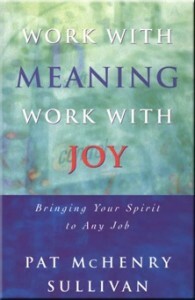 Work with Meaning, Work with Joy presents a practical but profound guide to bringing spirit to the work place. Combining stories, practices, philosophy and strategies, it inspires not only the “inner life of lawyers” but that of all the rest of us workers as well. Matthew Fox, Author of The Reinvention of Work and many other books. Talks or Workshops for Your Group. Pat loves engaging people in groups to liberate and use their gifts. Among her speaking and workshop venues are the Commonwealth Club of California (twice); many faith communities of varied religions; the State Bar of California, and three hospitals in California and Virginia. Pat Sullivan is an amazing inspirational speaker with a great sense of humor. She has the ability to take the mundane tasks that each of us does and to give us a more meaningful context for them. I have seen her speak to a group of overly busy lawyers and watched her bring out quickly their thoughtfulness and purpose. J. Kim Wright, Integrative Lawyer, Innovator, Systems Change Agent; author of Lawyers as Peacemakers and Lawyers as Changemakers, The Global Integrative Law Movement for the American Bar Association. • Bring Your Spirit to All Your WorkPat Sullivan will review your completed assessment and prepare notes to help make the most of an in-person or phone session of more than 1 hour. Pat will take notes and follow up with an e-mail and phone call filled with suggestions, resources, and allies who can help you be clearer about your vision and/or turn it into reality. 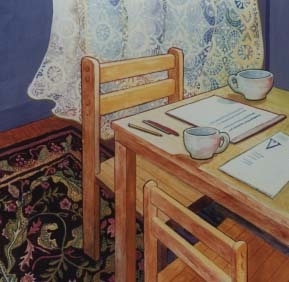 Special price through October 31 only: $250.00.Writing Help For Your Visions. Pat Sullivan offers fast, focused expert help to tell the stories of what matters most to you in the form of books, articles or web content. In addition to the book, Work with Meaning, Work with Joy: Bringing Your Spirit To any Job, Pat is the author of 26 “Vision and Values” columns originally published in the San Francisco Chronicle; an article for Workforce Management on how to talk about meaningful matters at work; an article in the best-selling Lawyers as Peacemakers by Kim Wright, and many more. For information about Work with Meaning, Work with Joy, plus more rave reviews, click here. http://visionary-resources.com/products-and-services/work-with-meaning-book/. Talks or Workshops for Your Group. All topics listed above in the “Jump-Start” Special are available as talks, seminars or workshops for your group. Pat has spoken to rave reviews to business and professional groups, hospital staff, and faith communities.